The inverse power of praise. Sleep Now, Remember Later: Links between memory and slumber. It's not just memory that is improved by sleep. Recent studies indicate that sleep not only helps store facts, it also helps make connections between them. And yet the average American gets only 6.5 hours of sleep a night. Schwartz also cites a famous 1993 study by Anders Ericsson in which the habits of three levels of violin students were studied. The students at the top level practiced than the bottom level. 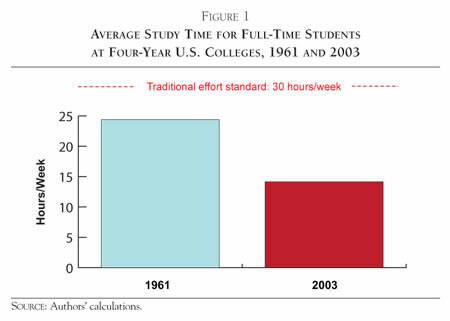 But what intrigued Schwartz was the fact that the top level students also slept more, napped more in the day, and were much more disciplined about giving themselves down time and creating rituals to renew their energy. In other words, "periods of high focus and intermittent rest." Mr. Willingham notes that students cannot apply generic "critical thinking skills" (another voguish concept) to new material unless they first understand that material. And they cannot understand it without the requisite background knowledge. Is drilling worth it?" The answer is yes, because research shows that practice not only makes a skill perfect but also makes it permanent, automatic and transferable to new situations, enabling more complex work that relies on the basics. Another question: "What is the secret to getting students to think like real scientists, mathematicians, and historians?" According to Mr. Willingham, this goal is too ambitious: Students are ready to understand knowledge but not create it. At some point, no amount of dancing will help you learn more algebra. That the democratization of the A.P. curriculum has sometimes come at a price was evident in the response of teachers when they were asked if their students were ready and able to handle the work in such courses. More than half, 56 percent, said they believed that “too many students overestimate their abilities and are in over their heads.” Even more teachers, 60 percent, said that “parents push their children into A.P. classes when they really don’t belong there. Psst! Need the Answer to No. 7? Click Here. ...some professors and ethicists are questioning whether such Web sites encourage cheating and undermine the mental sweat equity of day-to-day learning by seducing students with ready-made solutions and essays. For adults, one way to nudge neurons in the right direction is to challenge the very assumptions they have worked so hard to accumulate while young. With a brain already full of well-connected pathways, adult learners should “jiggle their synapses a bit” by confronting thoughts that are contrary to their own. As adults we have all those brain pathways built up, and we need to look at our insights critically,” he says. “This is the best way for adults to learn. And if we do it, we can remain sharp. What Make a Great Teacher? Should Kids Be Bribed to Do Well in School? Students who studied alone, read and wrote more, attended more selective schools and majored in traditional arts and sciences majors posted greater learning gains. Social engagement generally does not help student performance. Students who spent more time studying with peers showed diminishing growth and students who spent more time in the Greek system had decreased rates of learning, while activities such as working off campus, participating in campus clubs and volunteering did not impact learning. The fact is, 4 is far too young an age to reach any conclusions about the prospects of a child’s mind. And when were IQs the least stable? Before the age of 6. Only 45 percent of the kids who scored 130 or above on the Stanford-Binet would do so on another, similar IQ test at the same point in time. What percentage of 4-year-olds who scored 130 or above would do so again as 17-year-olds? He answered with a careful regression analysis: about 25 percent. “It’s not entirely inaccurate to observe that more and more high-achieving students go off to university and don’t care about anything,” says Nelson. “They don’t ask questions, they don’t have original ideas."